Walk into an appliance store and you’ll see kitchen appliances for the home cook. In many cases, these are designed to be affordable and are created to look attractive. For serious cooks, a better investment may be higher-end appliances that are designed for the rigors of a serious kitchen. Restaurant-grade fridges will be larger, for example, and blenders and other appliances will be sturdier. 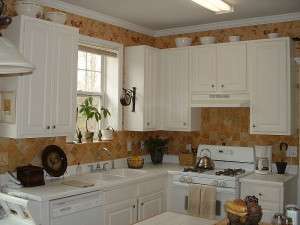 BlueStar makes professional-quality and even customized appliances for the kitchen. You can review their selection here. You can also browse specialty stores to check out the options or consider buying used appliances from small restaurants if budget is an issue. If you don’t need an entirely restaurant-quality kitchen, at least invest in a professional-quality oven and range as well as professional-grade smaller appliances (such as a blender). Restaurant-caliber blenders and other small appliances will generally have stronger engines, so they can handle more. Restaurant-grade ovens and ranges will be larger and will generally offer more even heat distribution and more accurate temperatures, which can make cooking easier. 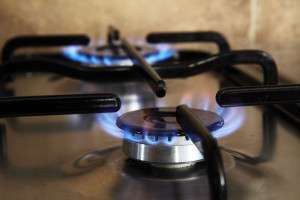 When considering your range (one of the most important parts of your kitchen), consider a gas range – this is what most pros use. There are also induction cooktops, which deliver heat directly and heat up fast. Another good option is thick-burner stoves. 2) Lots of simple surfaces that are easy to clean. Gourmet kitchens often have a hospital-level standard of cleanliness. When designing your kitchen, don’t just consider how attractive countertops and flooring options are; consider how easy they will be to keep clean. 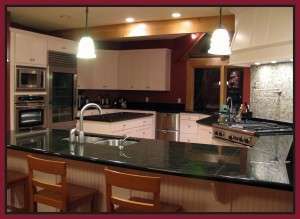 Surfaces such as glass, quartz, stainless steel, tiles, and granite can all handle food prep and plenty of cleaning. Laminates, especially ones that are not quite smooth, may be harder to clean in some cases and may show wear and tear more quickly. No matter what surface you decide on, get as much countertop space as you can – plenty of space makes preparing epicurean meals easier. Open shelves rather than closed cabinets make it easier to grab dishes and other items you need. If you’re worried about appearance, paint the shelves in bright colors and be sure to keep your plates and other items neatly arranged. Keep cookware and appliances in pantries or in cupboards at the floor level. Two ovens are an investment, but they allow you to make multiple dishes at once or warm one dish while cooking another. At least one of the ovens should be a convection-style oven that distributes hot air evenly with a fan. If you can’t afford two ovens (or don’t have the space for them) consider an oven that has a warming rack or warming drawer. Another budget-friendly option is to buy one professional-grade oven and one convection microwave. Convection microwaves heat food without breaking down the structure, so they can help you reheat your food without sacrificing texture. Restaurants and serious chefs can create wonderful dishes because they have stations set up for specific kitchen tasks. For example, they may have one area of the kitchen dedicated to preparing food, another area dedicated to plating food, and so forth. Set up your kitchen in a similar way. Have one area for chopping and set up a space for making gourmet coffee as well as spaces for cleaning and plating. Have everything you need for each specific task within easy reach of the station. For example, your food preparation area should be close to the stove and close to knives and cutting boards, cutting down on the amount of back-and-forth movement and reducing the risk of kitchen mishaps. When setting up stations, be sure to leave plenty of counter space – you will need it for preparing food. Although it can be tempting to leave out all your appliances for simple access, this will actually make it harder to prepare food. Leave out only the appliances you use most often. This will make cleaning your counters easier as well. 6) Food-specific appliances and gadgets. When designing your gourmet kitchen, consider the types of foods you are most likely to cook. This will determine the layout of your kitchen and the types of appliances and gadgets you need. For example, if you love Indian cooking you may want to invest in a real tandoor oven. If you love to make your own pasta, you will need a rack for drying home-made pasta before it can be cooked. If you love to grill, you may want to invest in an oven with a specialized grill top. Need some inspiration? Check out the Case Design blog post here for more ideas about gadgets and features you may want to add to your own kitchen. A walk-in pantry or butler’s pantry can help store all your ingredients as well as any cookware or gadgets that you don’t use every day. If you don’t have the space for a walk-in pantry, roll-out space-saving models can help you easily access anything you need for any dish. Install lights under shelves and cabinets over counter spaces and have plenty of overhead lights, as well. You can’t cut and prepare ingredients correctly if you can’t see what you are doing. You can build an epicurean kitchen over time. 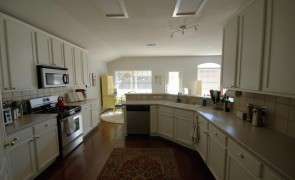 The main goal should be to carefully consider how you will use the space and then buy the appliances and additions you need for your specific cooking needs. If you need some more ideas on the specific elements you might want to add to your gourmet dream kitchen, check out this inspiring Pinterest page. 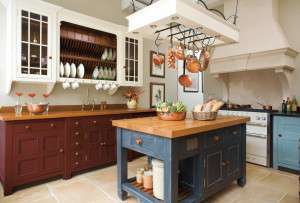 Finally, if you are investing in a gourmet kitchen, consider some cookbooks or cooking classes – they will help you may the most of your new cooking space. 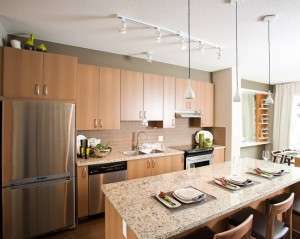 Thanks to Torontorentals.com for information and ideas used in this post. 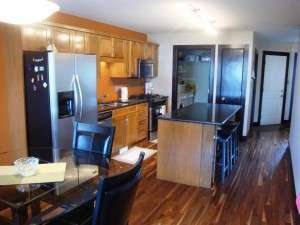 This entry was posted in Kitchen and tagged how to, useful tips on May 29, 2013 by A. Antonow.